Metoprolol and atenolol are two beta-blockers that are used to treat high blood pressure. Both metoprolol and atenolol work as synthetic beta-1 selective inhibitors. 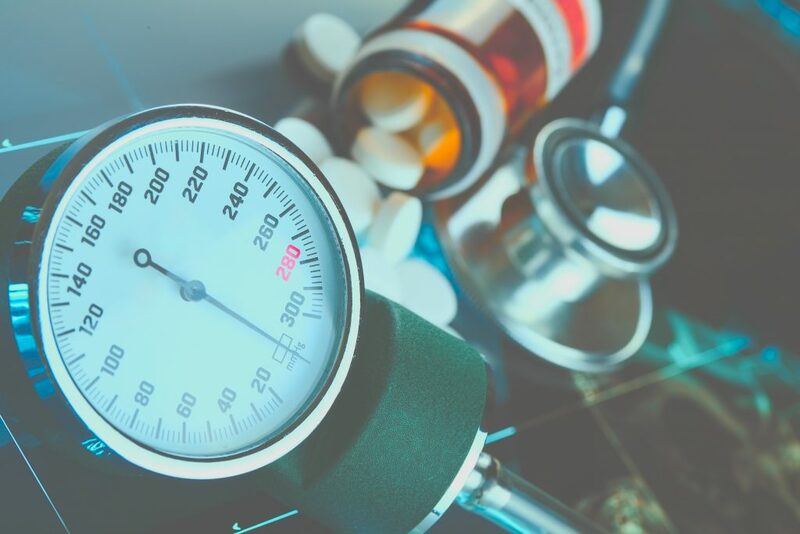 Although both medications can treat high blood pressure and heart conditions, there are some differences to note. Metoprolol is formulated as two different salts, metoprolol tartrate, and metoprolol succinate. These salts are not interchangeable. Metoprolol tartrate is the generic name for Lopressor and metoprolol succinate is the generic name for Toprol XL. Metoprolol is prescribed to treat high blood pressure and prevent the risk of death from heart attack. It can also treat angina, or chest pain, from coronary heart disease. Metoprolol tartrate is available as a generic 25 mg, 37.5 mg, 50 mg, 75 mg, or 100 mg oral tablet. An intravenous solution is sometimes administered as a 1 mg/1 mL dose. Metoprolol succinate is the extended-release form of metoprolol. It comes as a 25 mg, 50 mg, 100 mg, or 200 mg oral tablet. The half-life of metoprolol is around 3 to 4 hours. However, this time can increase up to 7 hours when metoprolol succinate is used. The dose of metoprolol may need to be adjusted in those with hepatic impairment. Atenolol is the generic name for Tenormin. It is prescribed to treat high blood pressure, angina, and the risk of death from heart attacks and other heart problems. Atenolol is usually prescribed for long term treatment of angina. Atenolol is available as an oral tablet that comes in strengths of 25 mg, 50 mg, or 100 mg. Dosing depends on the condition being treated. For example, a 50 mg daily dose may be started for chronic angina. This dose may increase until therapeutic benefits are seen. The half-life of atenolol is about 6 to 7 hours. Therefore, atenolol may have longer lasting effects than metoprolol in some cases. Atenolol should also be monitored in those with renal impairment. Metoprolol and atenolol are similar acting beta-blockers. While they are similar in how they work, they also have some differences. These drugs can be further compared in the table below. Metoprolol is the generic name. Atenolol is the generic name. Metoprolol is in Pregnancy Category C. Not enough evidence has been found for safety in pregnancy. Consult a physician regarding taking Metoprolol while pregnant or breastfeeding. Atenolol is in Pregnancy Category D. It should not be taken during pregnancy. Consult a doctor regarding steps to take while planning pregnancy or breastfeeding. Metoprolol and atenolol are two beta-blockers that can treat high blood pressure, angina, and risk of death from heart attacks. They are both beta-1 selective which means they have greater action in the heart compared to other beta-blockers. Metoprolol comes in two different salt forms. Metoprolol tartrate is the immediate release form which has effects that last up to 3 or 4 hours. Metoprolol succinate is the extended-release form which has a half-life up to 7 hours. Atenolol has an overall half-life of about 6 to 7 hours. Metoprolol is primarily metabolized in the liver while atenolol is absorbed and excreted through the kidneys. For this reason, metoprolol may interact with other drugs that are metabolized by the CYP2D6 enzyme in the liver. Both metoprolol and atenolol have black box warnings that caution their use in those with bradycardia, or slow heartbeat. Beta-blockers generally share common side effects of bradycardia and hypotension. It is important that neither drug is discontinued abruptly after taking them. Instead, their doses should be gradually lowered to prevent rebound hypertension. It is also important to discuss these medications with your doctor. One beta-blocker may be preferred depending on your overall condition.